WHEN the American-led coalition invaded Afghanistan five years ago, pessimists warned that we would soon find ourselves in a similar situation to what Soviet forces faced in the 1980’s. They were wrong — but only about the timing. The military operation was lean and lethal, and routed the Taliban government in a few weeks. 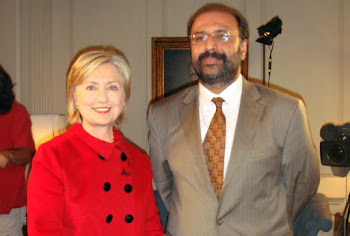 But now, just two years after Hamid Karzai was elected as the country’s first democratic leader, the coalition finds itself, like its Soviet predecessors, in control of major cities and towns, very weak in the villages, and besieged by a shadowy insurgency that uses Pakistan as its rear base. Our backing of an enlightened government in Kabul should put us in a far stronger position than the Soviets in the fight to win back the hinterland. But it may not, and for a good reason: the involvement of our other ally in the region, Pakistan, in aiding the Taliban war machine is deeper than is commonly thought. 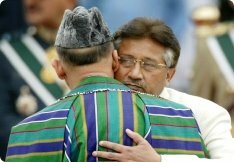 The United States and NATO will not prevail unless they can persuade Pakistan’s president, Pervez Musharraf, to help us more than he has. Unfortunately, based on what senior Afghans have explained in detail to American officials, Pakistan is now supporting the Taliban in a manner similar to the way it supported the Afghan mujahedeen against the Soviets two decades ago. The Taliban has two leadership cells operating inside Pakistan, presumably with the guidance and logistical support of local authorities. Senior lieutenants to Mullah Muhammad Omar, the Taliban’s supreme leader, are ensconced in Quetta, the capital of the Pakistani province of Baluchistan. From there they direct military operations in the south-central Afghan provinces of Helmand, Kandahar, Uruzgan and Zabul. Meanwhile, one of the Taliban’s savviest military commanders, Jalaluddin Haqqani, and his sons operate out of Miramshah, the capital of the North Waziristan Province. From there, they run operations in Kabul and the eastern Afghan regions of Khost, Logar, Paktia and Paktika. Mr. Haqqani, who was years ago an American ally in the anti-Soviet campaign, has also been long suspected of sheltering Osama bin Laden. He is a crusty warrior with a great deal of credibility in Afghanistan because 20 years ago, rather than sip tea with journalists like some other rebel leaders, he was laying siege to Soviet positions. Meanwhile, in the Pakistani city of Peshawar and the Bajur region, one finds various headquarters of Gulbuddin Hekmatyar, whose Hezb-i-Islami Party is aligned with the Taliban. Mr. Hekmatyar, another former American ally, runs operations in the Afghan regions of Kapisa, Kunar, Laghman, Nangahar and Nuristan. These various bases inside Pakistan have assured the Taliban’s survival in the years since a democratic government was established in Kabul. Having hung on, the Taliban has recently regained much of its strength — and may now be winning the war of the villages against President Karzai. 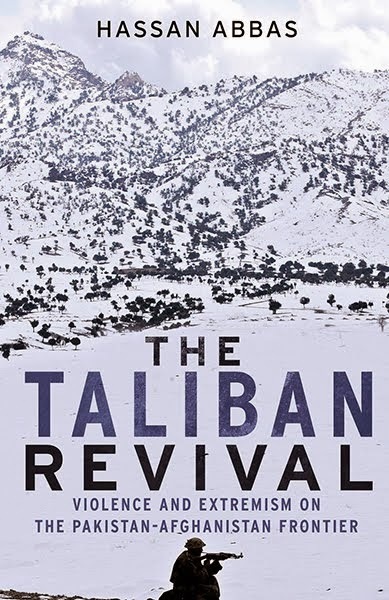 In Afghan politics, it is the rural heartland that has always been the pivotal terrain, the place from where the mujahedeen rebellion against a secularized, Marxist-influenced urban regime was ignited in 1978, almost two years before the Soviets actually invaded. Whereas Iraq is two-thirds urban, less than a quarter of Afghans live in cities. In Afghan villages, God and tribe are more tangible than any elected parliament. And where democracy remains an abstraction, anyone who can provide security and other basic needs — by whatever means — commands respect. Since toppling the Taliban in late 2001, the coalition and Afghan leaders have concentrated too much effort on Afghan cities, many of whose inhabitants, connected as they are to the outside world, are apt to support democracy anyway. The war we are now fighting will be won or lost in the villages. While government officials from Kabul show up in rural areas for regular visits, the Taliban are setting up permanent presences in them. They are also importing radical, Pakistan-trained clerics to preach against the Kabul authorities. While officials from the capital too often speak in platitudes, the Taliban make concrete offers to protect poppy fields from eradication. The drug trade is a particular problem because the United States, given its domestic policies, must take a stand against it and the government in Kabul, needing to maintain an upright image with international donors, must follow suit. Thus, the Taliban is free to use our morality against both. The Taliban even have shadow officials for small areas of Afghanistan, whose top officials live just over the border in Pakistan. Afghan villagers journey to Pakistan to seek justice for one grievance or another from these alternative figures. The situation is tragically simple: the very people we need to kill or apprehend we can’t get at, because they are in effect protected by our so-called ally, Pakistan. All we can do is win tactical battles against foot soldiers inside Afghanistan, who are easily replaced. It isn’t that President Musharraf is doing nothing. He has deployed troops along the border that have somewhat cut down on the activities of Mr. Haqqani. Moreover, many of his troops are busy quelling a separatist rebellion in the border province of Baluchistan. But he feels himself atop a volcano of fundamentalism. He is among the last of the Westernized, British-style officers in the national army; after him come the men with the beards. The military and Pakistani society are filled with those who do not see the Taliban as a threat: it is an American problem, and one for an Afghan government toward which they feel ambivalence. So President Musharraf must walk a fine line. And he must be as devious with us as he is with any other faction. Thus Pakistani strategy is to get the Taliban to the point where it can set up secure leadership bases in remote parts of Afghanistan and move across the border. Then Pakistan will claim that it is no longer its problem. There are two opposing tipping points to watch out for. The first is the moment the Taliban leadership feels safe in bases inside Afghanistan and decides it can mobilize to infiltrate and eventually topple the cities. That is when Presidents Bush and Karzai lose. Mr. Karzai would need to form his own private militia, and perhaps cut a deal with Mullah Omar in order to survive. The other tipping point is when the Taliban leaders inside Pakistan feel themselves under so much pressure from the local authorities that their energy is spent on survival rather than on running operations. That is when Messrs. Bush and Karzai win. Unfortunately, this seems less likely than the first tipping point. We can’t reverse this drift without a stronger policy toward Pakistan. I say this with extreme trepidation. President Musharraf, for all his faults, may still be the worst person to rule his country except for any other who might replace him. And yet it is necessary to hold his feet to the fire to a greater extent than we have. Things have reached the point that it was entirely justified for the American ambassador to Islamabad, Ryan Crocker, to say this month that the exiled former Prime Ministers Benazir Bhutto and Nawaz Sharif should be allowed to return and run against Mr. Musharraf. As corrupt as those two leaders were, we need leverage. IN the end, the battle for Afghanistan will be won in the villages, and the time-tested rules of counterinsurgency will apply. The two most vital goals in this case will be giving the local residents a stake in the outcome through subsidies and development projects; and providing security through the presence of coalition troops embedded with Afghan Army units. Periodic patrols don’t cut it. If you live and sleep beside people, they tend to trust you. You don’t win these kinds of wars operating out of big bases near the capital. Finally, while democracy may be an abstraction in the Afghan countryside, it can be a powerful psychological tool if explained in the language of nuts-and-bolts enticements. With our help, President Karzai’s rural representatives must articulate a strategy of hope and development, and contrast it with the one of interminable conflict that is all that the Taliban can ultimately offer.